In the Muslim Balkans, the front line against radical Islam runs through the city of Tetova in western Macedonia, a region with an Albanian-speaking and Muslim majority. There, for almost two decades, the Harabati Baba Bektashi Sufi shrine has been under siege by Arab and Pakistani Islamists. The Harabati teqe, as a Sufi site is known in the Albanian language, is the largest Muslim spiritual installation in the Balkans and one of the most significant in local Islamic history. I wrote about the outrageous usurpation of the Harabati teqe in NewsGram on April 9, 2011. On December 12, 2010, the Harabati teqe, with most of its buildings already occupied by radical Islamist interlopers, was targeted by an arson attack intended, its Sufi administrators believe, to destroy archives that establish their right to control over it. Fire damage was extensive, but the archives were saved. On Saturday, June 4, 2011, I went to the Harabati teqe to assess the damage to it. The burnt walls and chambers were shocking to behold. As I arrived, a flock of young women in silvery hijab were leaving the property. I was informed that they were graduates of a so-called "women's medresa" implanted inside the walls of the teqe by the radical invaders. From my observation of the critical situation at Harabati since its occupation by foreign radicals began in 2002, I can only conclude that studies in the "medresa" will teach the vulnerable young women extremism and terrorism. The Harabati shrine is a shahristan, a large complex of buildings established as a fortress. It includes agricultural land as well as numerous structures used for prayer, other Sufi rituals, accommodation of guests, and similar needs of the Bektashi Sufis. The Bektashis were the religious "chaplains" of the yeniçeri (janissaries) or "new men," a body of Christian and Muslim youth inducted for service to the Ottoman state. Given that most of the yeniçeri were Christian in origin, the Bektashis served to Islamize them through a spiritual education that emphasized common aspects of Christianity and Islam. The Bektashis also protected heterodox, dissident, rebel elements within Islam. As a pillar of the Ottoman order, they represented a unique institution and an exemplar of Islamic pluralism. But the Bektashis were suppressed during alleged reforms forced on the Ottoman state by the European powers in the 19th century and again by the Turkish regime of the 1920s. Bektashis identify themselves as Shia Muslims and especially as lovers of Imam Ali, although during periods of Ottoman repression they adopted a position of taqiyya or dissimulation and claimed to be Sunni. Throughout their history, nevertheless, they have been known for their "ecstatic" orientation, and their treatment of ordinary prayer, the hajj pilgrimage to Mecca, the prohibition on consumption of alcohol, and other aspects of shariah to be "zahiriyya," i.e. the external practice of religion. Bektashi devotees are dedicated to a "batin" or esoteric path from "shariah" through "tariqah" or study, and "marifah" or wisdom, to "haqiqah" or union with Allah, by which the Bektashi way culminates in realization of wahdat ul-wujud – the indivisibility of God's creation. Bektashis stand out in their deliberate fusion of Sunni and Shia traditions and recourse to theological authorities from both sects. They read Qur'an, the Sunni recensions of hadith, the oral commentaries of the Prophet Muhammad, traditional narratives of the life of the poet and mystic Haci Bektaş Veli, said to have lived from 1248 to 1341 CE, as well as commemorations of the martyrdom of Imam Hussein at Kerbala, by authors such as the Azeri Shia Fuzuli (1483-1556). Bektashis study the Sufis of Basra and Rabiya Al-Adawiyya, who died in the second Islamic century and is buried in Al-Quds, Abu-Talib Al-Makki, Ibrahim Al-Hakki, Jami – a notable Sunni Sufi with a fundamentalist bias, Al-Sharani, Dhunnun Al-Misri, Bayazet Al-Bastami, Yahya Muadh, Junaid Baghdadi, Musa Ansari, Hussein bin Mansur Al-Hallaj, Hojjatulislam Zeynedin Abu Muhammad Bin Ahmad Tus, known as Al-Ghazali, Shihab'ud'din Suhrawardi, Muhyid'din Ibn Arabi, Umar Ibn Farid, Qutb'ud'din Abu Muhammad Abd'Allah Bin Sabbin, Farid'ud'din Attar, Mawlana Jalal'ud'din Rumi, and Shems-i Tabrizi. Bektashis also immerse themselves in the writings and biographies of the outstanding exemplars of the other great Sufi orders, such as Abdulqadir Al-Jilani, Ahmad Al-Rifa'i, Ahmad Al-Badawi, Baha'ud'din Naqshband, Ziya'ud'din Khalid, Pir Umar Khalwat and his successors including Nur'ud'din Al-Jarraha, along with Haci Bayram Veli, Ismail Hakki Bursevi, Niyazi Al-Misri, Ibrahim Gülşeni, Sa'ad'ud'din Jibawi, and Abu'l Hasan bin Abd'Allah bin Abd'Al-Jabar Ash-Shazali. Finally, the Bektashis are devoted to the works and lives of their own outstanding exponents, of which there are many, reaching from the 15th century "organizer of the order," Balim Sulltan, who initiated Ottoman Sultan Bayazet II into Bektashism, to the 19th century enlightener and Albanian patriot, Naim Frashëri. With the suppression of the Sufi orders in Turkey by Mustafa Kemal, after the first worldwar, the Bektashis transferred their Kryegjyshata or residence of their world dede (supreme guide) to Tirana, Albania. The Bektashis had long maintained a large presence in southern Albania, with varying numbers of followers in every Albanian-speaking territory, including Kosovo, Montenegro, Macedonia, and Çamëria in northern Greece, as well as in Turkey, Syria, Iraq, Hungary, Romania, and other lands. But with the migration to Albania of its unique hierarchy, which resembles a Shia model of ulema more than that of the Sunni shaykhs, Bektashism became identified with Albanian ethnicity. It adopted the Albanian national flag, which it displays alongside its own green banner showing a twelve-pointed golden star and wreathes. This was a fulfillment of the vision of Naim Frashëri, who saw in Bektashism a vessel for the progressive transformation of the Albanian people. Bektashism epitomizes gender equality, secular governance, and public education. On April 2, 2011, the most recent Kryegjysh of the Bektashis, Haxhi Dede Reshat Bardhi, who was born in 1935, departed from this life. During my visit to the Harabati teqe the Bektashi clerics had gathered in the beautiful Albanian town of Saranda to inaugurate his mausoleum (tyrbe). Especially because of their progressive values, the Bektashis in Macedonia have come under attack by the official Sunni Islamic Community, which has legitimized aggression against the Harabati teqe. The lack of proper good relations between the official Islamic Community of Macedonia and the Bektashis in Tetova was noted by the U.S. State Department in its official reports on international religious freedom for 2006 and 2009. The situation of the Bektashis in Macedonia contrasts with mutual respect between Sunnis and Bektashis in Albania proper and courteous association between Sunnis and Bektashis in Kosovo. The reason for the difference, and the problem, in Macedonia is simple: Albanians and Muslims in that country both comprise minorities, and the post-Communist Slav regime in power has an interest in dividing both by inciting Sunnis against Bektashis. As part of this mendacious attitude, the Macedonian government has refused to grant the Bektashi claim to return of the Harabati property, which was expropriated by the Communist government of Yugoslavia after the second world war. Because the Bektashis cannot establish their claim to the shrine, they cannot easily resist the radical campaign to take it over, or solicit funds for its reconstruction. But the Macedonian Slav government is now, as I was told by Bektashis at the Harabati teqe, under pressure to recognize their legitimate and righteous status. Recognition by the Macedonian authorities would clear the way for support to the rehabilitation of the shrine by the Bektashis and their friends. 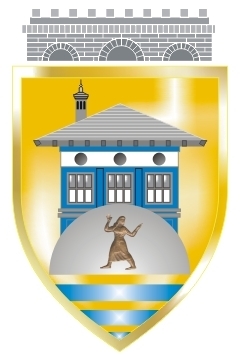 It is a matter of some grim irony that the municipal shield of the city of Tetova depicts the Harabati teqe. But the town authorities have so far failed to rescue their prized cultural asset. Further action is needed to save the Harabati teqe from its moral and physical devastation.